What is in the food pyramid? When you’re trying to lose weight, diet and exercise are the two words you keep hearing no matter where you turn. That’s because they’re the only two efficient methods when it comes to weight loss. Of course, you can try one of those miraculous dietary supplements, but you already know how that would turn out. But even going on diets and being physically active can disappoint. And then you start feeling like there’s something you just don’t know about the relationship between the two. So here are some answers to the basic questions you might have about diet and physical activity. Which one makes you healthier? Balanced diet provides you with the nutrients you need to remain healthy. Exercising helps you get rid of all the toxins in your body and produce hormones that make you happier (and, most of all, you don’t need to break your wallet as you can hire fitness equipment). But which of these two things makes you healthier. The shortest answer is that there is no answer. That’s mostly because people who exercise usually eat healthy as well, so there’s no available data. But we can answer the following three questions. Which one makes you lose more calories? Both diets and exercise regimes revolve around two identical things – calorie intake and calorie expenditure. But this doesn’t mean they’re the same thing when it comes to the amount of calories you end up spending. Research shows that physical activity doesn’t burn as much calories as dieting. It’s because working your muscles also means you need to consume more calories. Which one is more effective when it comes to weight loss? We’ve already established the fact that exercising doesn’t burn as much calories as we might think. 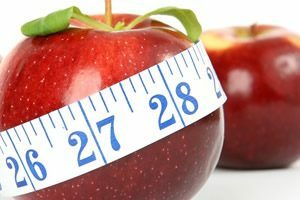 That’s why it now seems pretty obvious that dieting is more effective when it comes to weight loss. But this doesn’t mean you should quit your exercise regime. Which one should be a priority? If you’re trying to get healthier, you should do both. If you’re trying to lose weight, you should also do both. That’s because dieting spends more calories, but exercising makes it harder for the yo-yo effect to hit you just when you start thinking you finally made it.